The song kicks in with what feels to be that signature, haunting Low guitar tone & strumming (however less of late with their continually evolving sound … Low’s Alan Sparhawk contributes to the record … but it could also be Jeremy Ylvisaker or Dave Mehling making that velvety guitar entrance … ) then moves into a sweeping, watery lushness where Lea’s voice cuts through the sound fog with a message of hope. Hanging out with Lea’s new album Learning How to Stay has been a gift of the last few weeks. 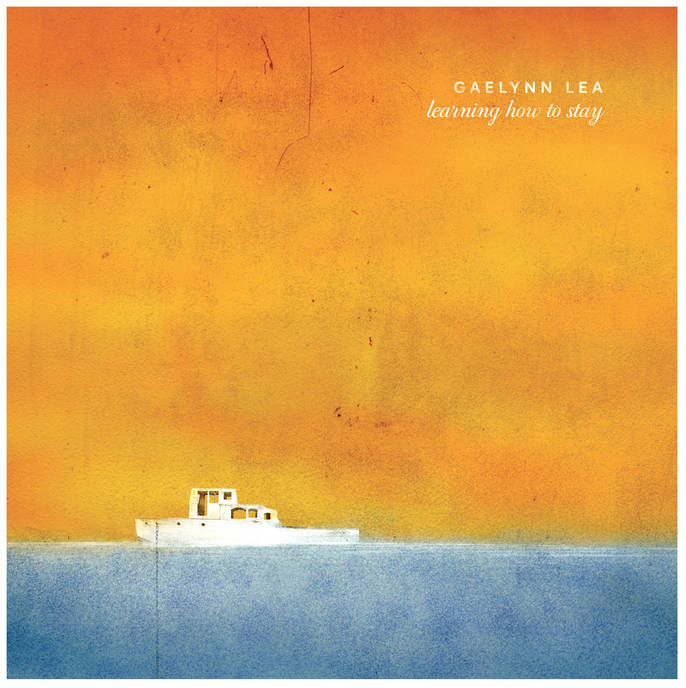 My own mental landscape feeling rather bleak but then comforted by Gaelynn’s spirit, which is why we seek music sometimes – for comfort and healing. Recent studies have shown that “When sad music evokes tears in experimental settings, such tears may be accompanied by pleasure and physiological calming (i.e. cathartic effect)” – so sad music might actually help us heal and find calmness. * The album shifts from lilty folk ballads to happy rockers to psychedelic washes of echo and vibrato and looping which Gaelynn is skilled at. There is seeking, solace, wondering, wonderment, and that recurring theme of hope here — which we always need, but perhaps in these trying times more than ever. 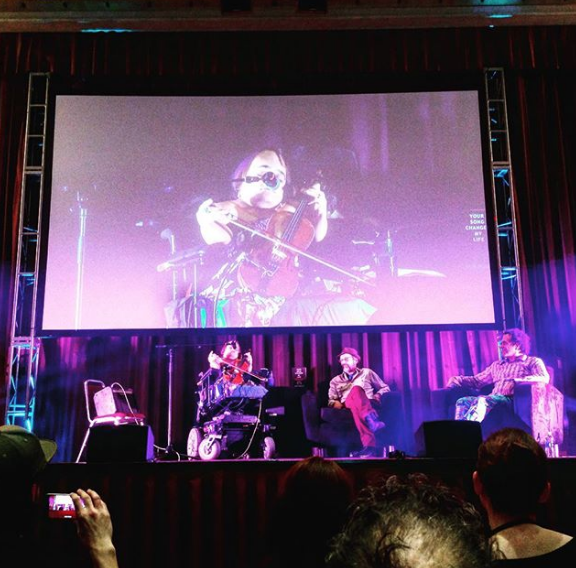 Having known Gaelynn for a number of years when we lived in Duluth, MN at the same time – and lucky to call her a friend – I know first hand that this woman is a powerhouse, a strong fighter for the spirit of humanity. She is a champion of women’s rights, disability rights, and the environment (one of the first bands I knew her to perform in was called Snöbarn, and had a song to protest copper nickel mining in Northern MN). She is one of the most hard working musicians I’ve ever met – previously a music teacher, a busker, and of course, 2017 winner of NPR’s Tiny Desk Concert. She did what she thought was right after receiving that award — sold her house and followed the music dream around the country and the world with her husband, Paul. Theirs is a story of hard work, practice, inherent soul + talent, and again, deep hope. I am continuously inspired by Gaelynn’s journey and this album is a treasure. Please join us on October 26th at Icehouse Minneapolis for the release of the album! I’m so honored to support it (thank you, Gaelynn!). Purchase tickets here. My top tracks are Moment of Bliss, I See it Too, The Last Three Feet, Someday We’ll Linger in the Sun (of course! ), and that trippy Metsäkukkia. Her record is available for purchase at violinscratches.com directly from the artist (as well as below on bandcamp), and the standard iTunes, etc. Pssst! Would you be interested in supporting my work to have a more sustainable artist’s life on Patreon? THANK YOU!